Cosmetic dentistry provides patients who are unhappy with their smiles the opportunity to receive dramatically better results. One of the most frequently requested treatments our doctors at Signature Smiles provide to patients in the Woodinville, WA area is porcelain veneers. By placing these customized shells over the front surface of teeth, patients can conceal a number of cosmetic imperfections, including chipped, gapped, and severely stained teeth. To make sure the veneers blend in seamlessly with your smile, each tooth requiring veneers will require a small amount of enamel removal. 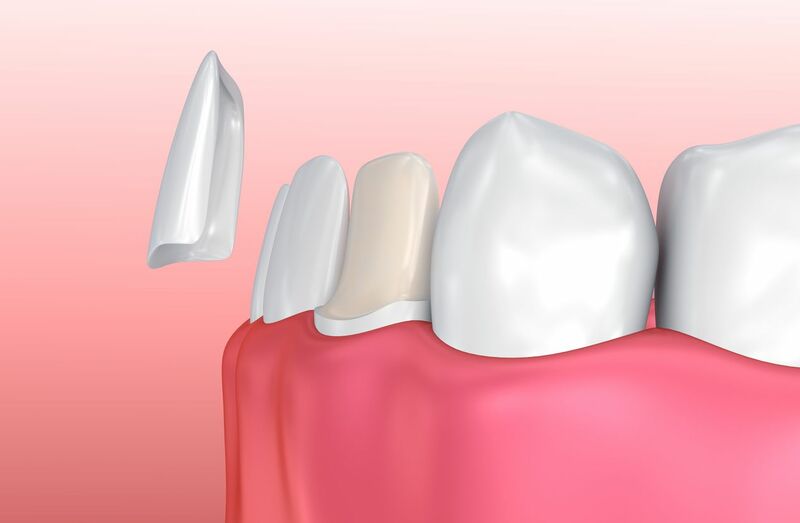 Our doctors explain why preparing the teeth for veneers is an important step in the overall process. Before the porcelain veneer process begins, Dr. Cristin Dowd or Dr. Ken Wu will meet with you to discuss your treatment options and make sure your teeth are healthy enough for porcelain veneers. To qualify, it’s important that you have strong enamel that can withstand tooth preparation, and no signs of gum disease or tooth decay. Once you are deemed a good candidate, the process can begin. The porcelain veneers process can generally be completed in two office visits. The first office visit involves preparing the teeth for veneers and taking impressions of your teeth. During the tooth preparation process, a small layer of enamel (about .5 mm) will be removed. This is so the added layer of a veneer does not cause your teeth to protrude or appear thicker in size. It also creates a strong bond between the veneer and your tooth, providing lasting results. The amount removed is so small it typically does not require anesthesia. Once each tooth has been prepared, the doctor will take digital impressions of your smile. These images will help create a 3D model of your smile that the dental lab will use in fabricating your veneers. Veneers typically take anywhere from one to two weeks to complete. Following this protocol will help you in caring for your customized veneers. Once your veneers are completed, Dr. Dowd or Dr. Wu will secure them at a follow-up appointment. After removing your temporary veneers, the doctor will thoroughly clean your teeth. He or she will then check that the veneers fit. Once you are satisfied with the results, a special solution will be applied to each tooth and the veneers will then be bonded in place. Your teeth will then be polished to reveal your dazzling, new smile. To learn more about porcelain veneers and the timeline involved, contact our office today online or give us a call at (425) 489-1177. We look forward to helping you achieve a smile you can be proud to show off.